BELLA - Taste the Beauty! 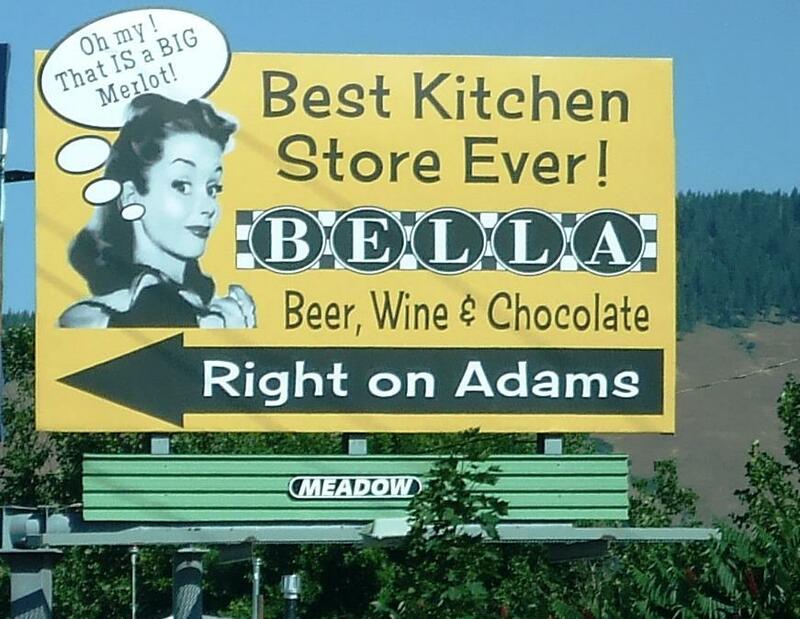 The best little kitchen, wine, chocolate, and great food store you never thought you'd find in beautiful Baker City and now in downtown La Grande, OR too! There are few things more fun than sharing a birthday with great friends! Elizabeth and I have been celebrating the 27th together since we met, she's been a magical friend and is one of the most beautiful women I know. This year we discovered that we both use 27's in our secret codes and combinations but the best discovery of the weekend was brought to light when we were dressing for the evening. Elizabeth got into town in the early afternoon and decided to go for a walk around Baker City as it was sunny and bright. The road reports had been all full of winter storm warnings and she had driven from Walla Walla wearing jeans and said she hadn't brought anything to wear for the party. So anyways, she stops in at Barbara Jeans Boutique and finds this fabulous black dress...and she JUST HAPPENED to have fishnet stockings and fabulous boots in her overnight bag. I swear she is my fashion guru - from now on, I'm always going to pack the fishnets first - you just never know when you are going to find the perfect black dress! Click for the Tour de BELLA! Even Poison Ivy is gorgeous here! SEXTON RANCHES - THE RANCH ROUND UP!